Throughout the year Doré Frances and her full service team visit academic schools, clinical hospitals, eating disorder centers, outdoor adventure and therapeutic wilderness programs, residential treatment centers, therapeutic boarding schools and young adult transitional living programs. In this way they can stay up-to-date about programs and schools admissions practices, new clinical updates, engage with the staff, tour the grounds, see inside all the departments and facility rooms, interview staff and students, make assessments about appropriateness for their clients, meet all the staff from academic, to nursing to recreational, and take in-depth looks into all the ongoings of the program and/or school. The team tours all around the country on a regular basis. They also enjoy getting to know the families and their students throughout the process of working with them. The team provides expert help for all their families and students. 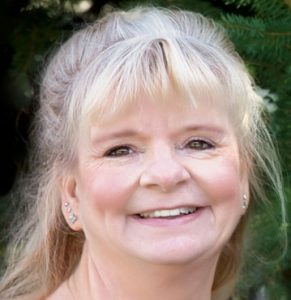 Dore Frances alone has 20 years of experience, and combined with her concierge team there is more than 100 years of vast and varying degrees of experience in assisting families and students. You can see the full website of concierge services at DoreFrances.com. You can also follow Doré on Facebook where she posts answers to common questions when asked and updates parents and students with pertinent information and current interesting articles. We consulted with Doré to help our son who was failing out of a southern California competitive school. Over the course of a few months, Doré and Julie were able to see why our son was failing and have worked to help us and him regain his strengths and achievements. During the process we noticed a significant difference in his overall confidence. Now more than year later, we are happy to report that he is doing better than expected! We are grateful for Dore’s and Julie’s ongoing assistance and continued support.